WASHINGTON -- The Pentagon says at least one U.S. military aircraft changed its route over Syria recently to avoid coming dangerously close to Russian warplanes. A Pentagon spokesman, Navy Capt. Jeff Davis, says he could not provide details, including the number of times this has happened. He says U.S. aircraft are still flying attack and other missions daily over Syria. But he acknowledges that the air operations have had to be adjusted since the Russians began flying. Davis says this highlights the Pentagon's interest in talking further to Russian officials about ways to avoid accidents and potential unintended conflict in the sky over Syria. One round of talks was held Oct. 1. No second session is scheduled. CBS News Pentagon correspondent David Martin reports that U.S. Defense Secretary Ash Carter on Tuesday demanded talks with Russia to keep each other's warplanes from colliding or attacking each other over Syria. 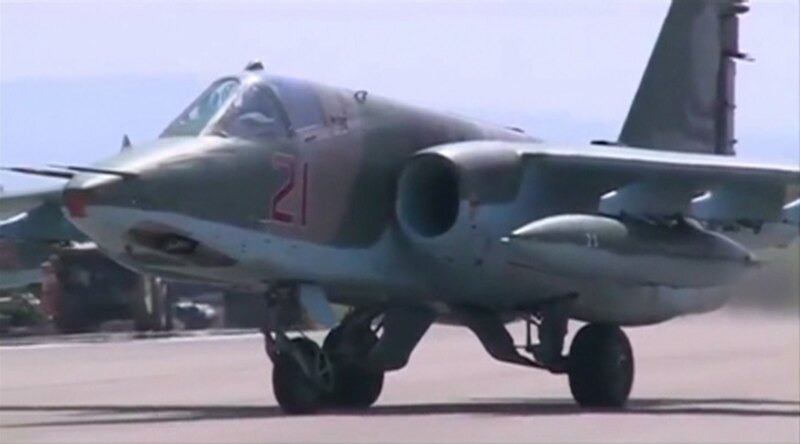 The Russians are mostly bombing rebels in the west who are fighting the Assad dictatorship. And the skies are getting very crowded. Five days into its air campaign in Syria, Russia said its fighter jets targeted several ISIS positions on Tuesday. But once again, some of the locations Russia says it hit is not in an area controlled by ISIS. The U.S. says that what Moscow is really doing is propping up the Syrian regime by attacking its opponents, including some groups linked to al Qaeda but also moderate rebels who are backed by America.